Nothin’ says “street cred” like a late 80’s Auburn hat. You know it. I know it. 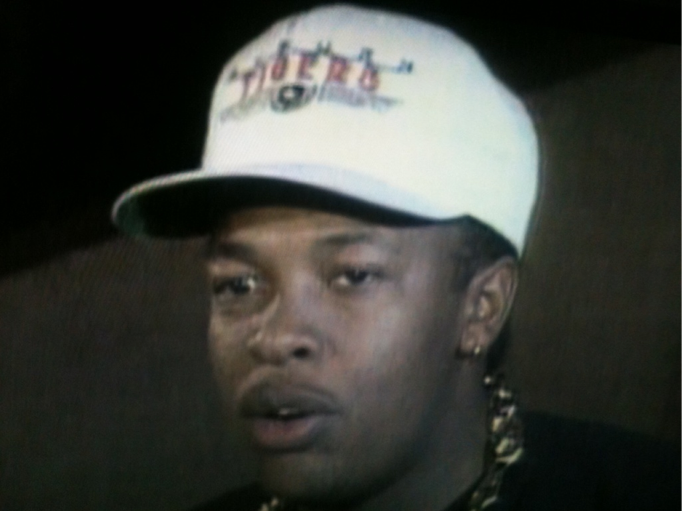 Dr. Dre knows it, as exemplified by his choice of headgear for this NWA-era interview featured in ESPN’s 30 for 30 “Straigh Outta L.A.” Pretty sure it’s before Bo’s reign of terror with the Raiders and therefore not some sort of Jacksony shout out, etc. There’s a VH1 behind the music doc where i could have sworn he was wearing an AU shirt too, so it doesn’t appear to be a Leo thing. TWER needs to get to the bottom of this stat! Yeah, in the N.W.A. documentary “The World’s Most Dangerous Group,” Dre for sure is wearing an Auburn shirt. I was watching it last year and had to pause to make sure.